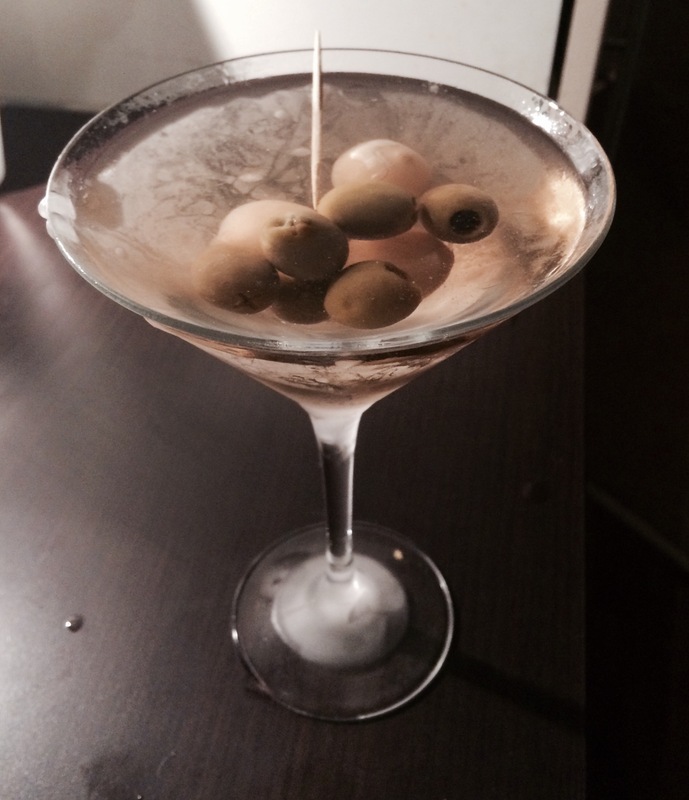 While I waited for dinner to cook I was craving something salty so I whipped up a quick dirty martini (as you do). I squeezed in some lemon oil from a piece of peel but then discarded the peel rather than using it as a garnish. I poured in the brine, then the vermouth, then the gin, and served with three pitted olives skewered on a tooth pick which you can use to stir the drink. The brine means that it’s not quite as strong as a standard martini. I drank it while the sun went down with the smell of herbs and grilled meat wafting over from the oven. It’s a nice, classic aperitif. 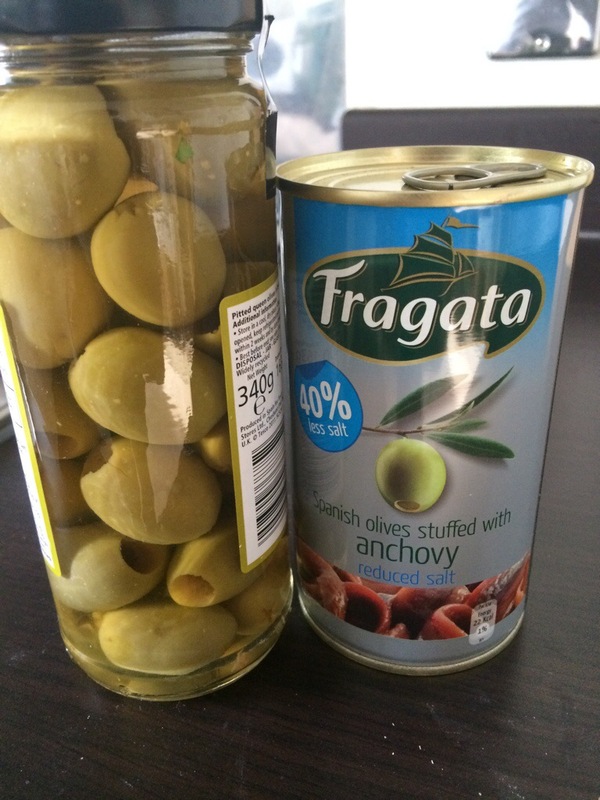 I prefer olives stuffed with anchovies. I’ve also made them with a mixture of olives and pickled onions as a garnish, although the one above was more like a small meal than a drink. Play around with this until you get the right combination for you. If you wanted to go all out you could use longer toothpicks and create this rather audacious version but it’s up to you. 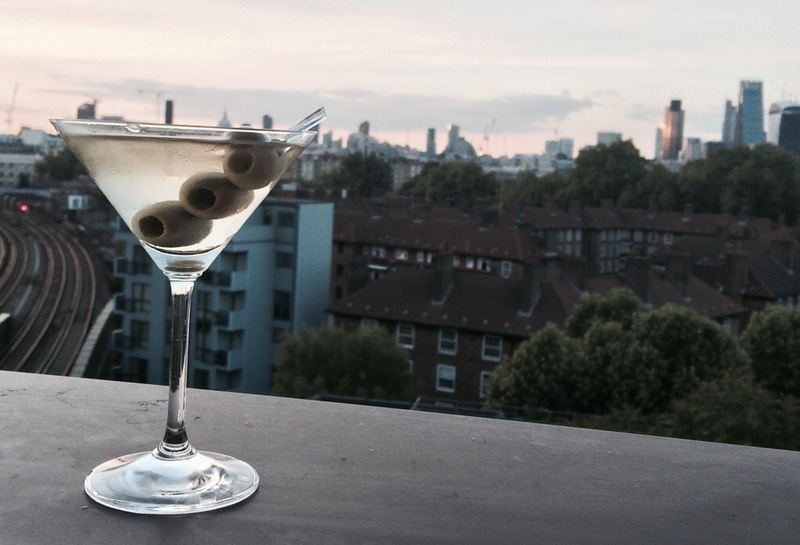 This entry was posted in Salt and Spice, The Diary and tagged brine, dirty, dirty martini, olives, savoury by themartinidiary. Bookmark the permalink. You need to send me your info so I can send you a bottle of 1888 Dirtiest martini mix. The only real olive juice in the world. Ill send you one if you want to review it.